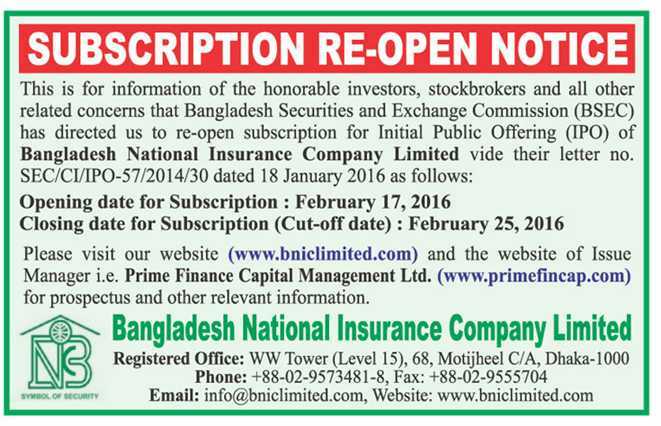 Reopening of IPO Subscription -Bangladesh National Insurance Co. Ltd. The Board of Directors is responsible for supervision of the overall affairs of the Company. Prime Finance’s Board of Directors has long adhered to governance principles designed to assure the continued vitality of the Board and excellence in the execution of its duties. © 2009 Prime Finance Capital Management Ltd.